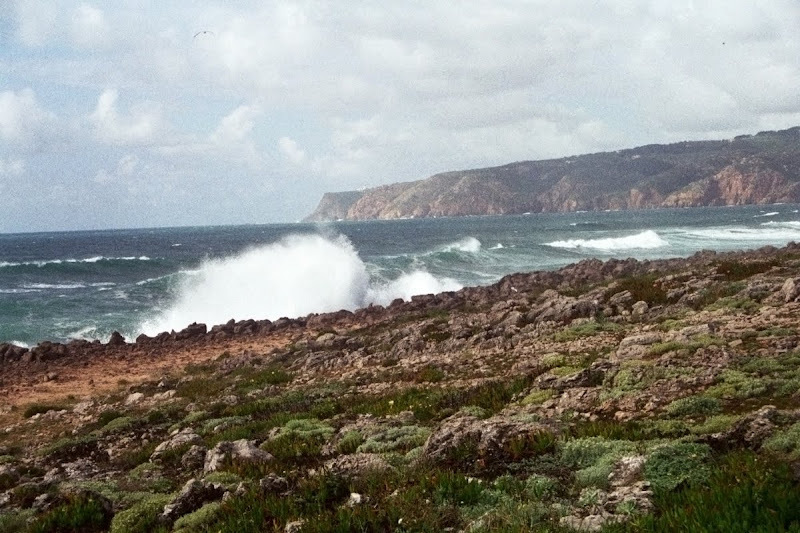 These pictures were taken six years ago (Canon EOS 50E Film camera)in my homeland, the place in Portugal where the waves are overwhelming. This is the coast of Guincho. In the background is the most western point of Europe, Cabo da Roca. 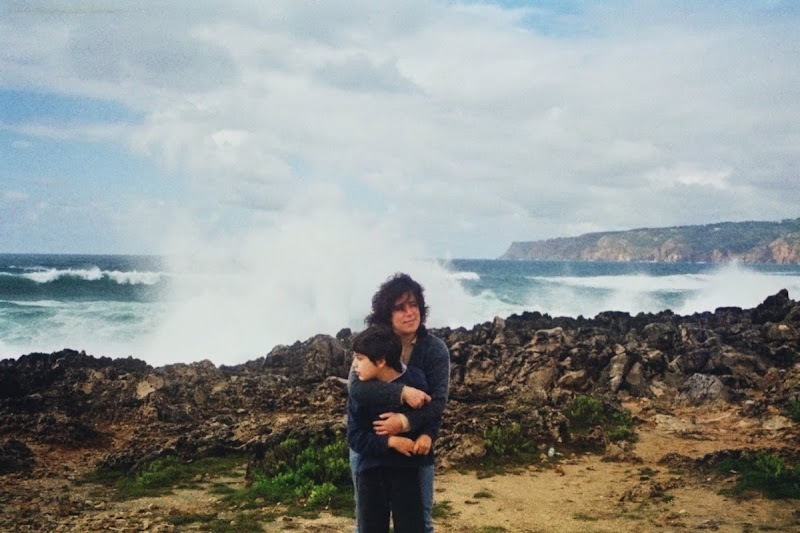 "...Where the Land ends, and the Sea begins..."
This is my beloved wife and my son. :) The twins weren't born yet. Those rocks, those waves, that sky... It's like a dream! Beautiful ocean shots. I hop one day you will have opportunity to return there. Well, I meant I hope you will! Typing is not my strongest skill! What a beautiful coastline! I understand that you miss the spectacular scenery. The waves are great, I can feel the smell of the sea all the way over here! You have a wonderful family. ..lovely views ..amazing wild landscape.. Fantastic photos! It is indeed a beautiful place. I imagine that you have to be careful when you are near the water, and not be swept away by the wave. Have you seen the following Youtube video? These pictures are beautiful and they stir my heart. I know the feeling. I have been away from California and my beloved Pacific Ocean for 3 years. I am brazilian and have been in Portugal, this eyear, 2 times...I am passionate for Portugal.. I love the spraying waves and the rocky cliffs. I know it is not the same, but England has an Atlantic coast, too!